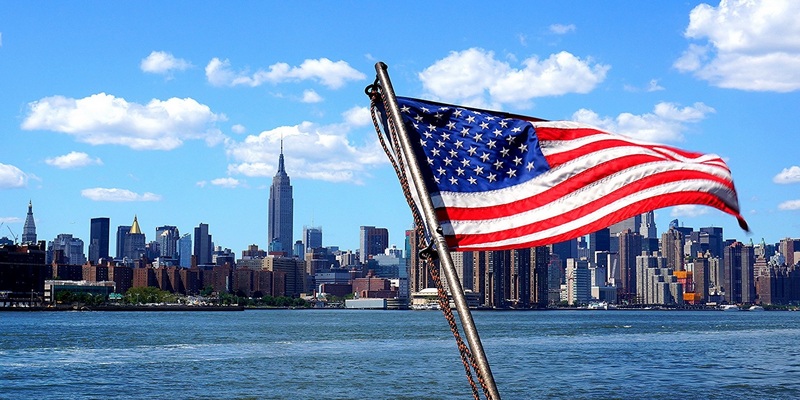 Home / SkyFive Properties Blog / 5 Financial Reasons To Move To The U.S. If you’re thinking about starting a new life in America, you probably already know that there are countless good reasons to move there. But while the U.S is home to Walt Disney World, Central Park, the Statue of Liberty and the Golden Gate Bridge, the ‘States’ really do have more to offer than just beautiful landscapes, delicious food, and credit card quaking shopping facilities. Before you complete your esta registration and pack your suitcase, here are 5 financial reasons to move to the U.S.
A great financial reason to move to the U.S. is the better cost of living the infamous country offers. While the cost of living varies widely from state to state, on a general basis, the cost of living in the U.S. is much better than those of the United Kingdom for example. Even eating at a restaurant will save you up to 18.75% than in the United Kingdom! However, make sure you note that San Francisco, Los Angeles, and New York are among the most expensive U.S. cities to live. The United States is one of the leading nations worldwide for income, according to the OECD Better Life Index. While the average amount of disposable income is approximately $38,000 in the United States, it is roughly $11,000 less compared to the U.K. Physicians, Pharmacy Managers, Patent Attorneys, Media Science Liaisons, and Pharmacists are among the top five highest paying job roles in the states! Sending money back and forward abroad can often be expensive, and a fee people dread. After all, you’re paying a high fee to send your hard earned money from one country to another. It doesn’t make sense! Luckily, there is a service on the market that helps reduce this fee so that you can convert any currency stress-free across the globe. In a fast-paced job market, you’re likely to climb the career ladder far more quickly than in your home country, and making your way through the ranks means an increased salary (as well as additional responsibility). With this in mind, the hiring process in the U.S. is much less than that in the United Kingdom, averaging at just 22 days compared to 29. Plus, Americans love Brits! The British accent has been revealed to be one of the world’s most attractive accents, so everything is in your favor! If you want to study in the United States, you’ll be pleased to know that England is, in fact, more expensive than the U.S. Today. It is even more critical for students to compare the cost of studying abroad with the rise of tuition fees in the U.K. Plus, with the U.S. rated as one of the top three countries in the world for highest-quality education. In fact, 15 American universities and colleges alike are ranked among the top 20 in the world. You can’t go wrong!